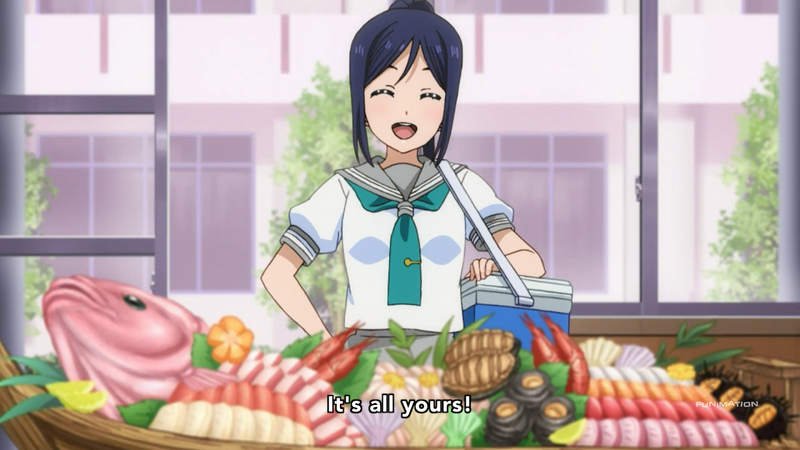 Lemons and Alpacas in Anime: Love Live! Sunshine!! The Love Lives return with Love Live! Sunshine!!. Taking place roughly five years after the original Love Live and after the fall of the u's empire. u's's shadow haunts the show and the nine girls who star in it, collectively known as Aquors. The girls are on a mission to hunt down u's. For what reason, we do not know. Aquors has one lead: The Love Live. They enter the idol contest in an attempt to draw out u's, but what they uncover is something darker.